Per normal, I chose Ayam Goreng Kalasan. It was rather dry. But probably it’s because of the wet mixed veggies (salad they call it) underneath it. I suspected that the mixed veggies took the moist out of the chicken. The rice was cute, shaped like a mini tumpeng with some fried shreded coconut on the side. How did it taste? Well, the sambal is good. Not so spicy for my taste, but acceptable spicy. Chicken is Ok, flavour wise, it hit the spot, just need to be less dry. 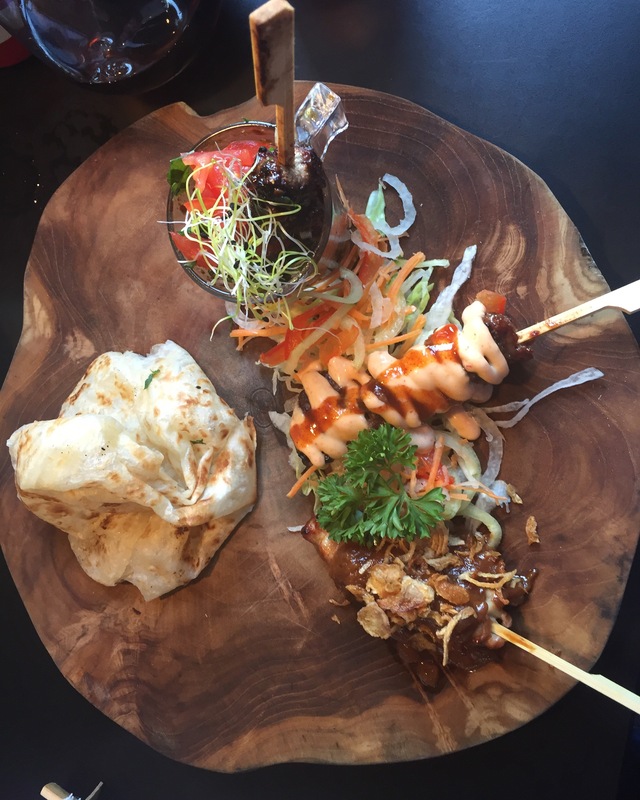 The main problem is… how the heck I could eat the dish on a wooden board as such?! Before I asked for a spoon, I had to manage myself with chopsticks. And when I got the spoon, I tried to have a bite of the rice and it just collapsed to… literally… everywhere. 😒 Imagine eating like this, in a date night, in front of a non-Indonesian, I guess he must think I was a moron or that Indonesian had the worst table manner. darn. On the other hand, my dinner companion ordered 3 types of satay with 3 different sauce with them. He also chose flatbrød to complete the dish. How clever is that? He could eat graciously with all that. And thankfully, he liked them all. Except, he said, “the soya sauce is too spicy for me”. 😝 because, of course, I forgot to mention that the sweet soya sauce was mixed with chopped chili. Price wise, the food was ok. Not very expensive in Denmark pricing. The restaurant and ambience were cool, no complaint. Service was good. Tiny bowl of mixed nuts as an appetizer was also commendable. They just need to work on some issues that I mentioned above. I realized that they were trying to put michhelin-stars plating on Indonesian dish, but need to be more careful. 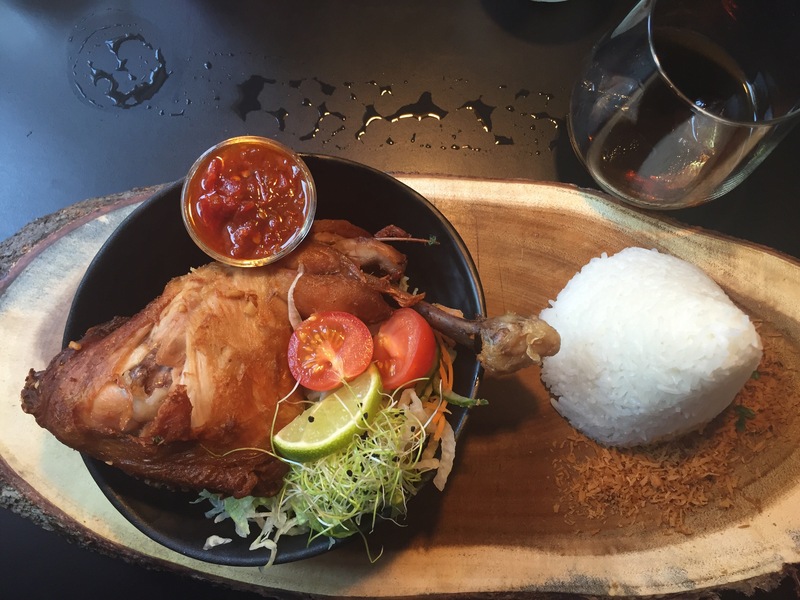 Indonesian food is unique and special. Not to mention delicious and amazing. LOL. uhuk uhuk uhuk, jauh amat ngedatenya, sengaja yak biar bs lama2an di jalan berdua. hihihihi, jadiiii ada lanjutannya gaaaaa??? ?